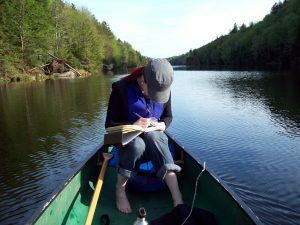 Keeping a nature journal or field notebook is a fun way to learn about the natural world, including our local waterways. A good nature journal has a foundational framework for recording observations and includes both writing and sketching. This workshop will focus on introducing participants of all ages and experiences to the journaling framework and on developing sketching skills. These foundational journaling skills can be tailored to any interests, from recording fish catches to tracking seasonal hatches on a local brook! Workshop begins and ends at the Grange Hall Cultural Center, 317 Howard Avenue, Waterbury Center, Vermont. Please arrive there with your favorite notebooks and writing/drawing tools, ready to move to the location on the Waterbury Reservoir! 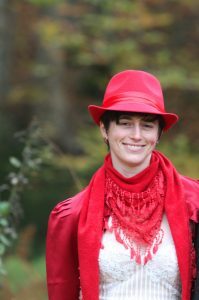 I am a science writer and artist who loves to teach. I live near Camel’s Hump where I am slowly turning my house into a cabinet of curiosities. My work focuses on illustrating subjects from nature, from ocelots to insects. I favor the traditional style of natural history illustration from the days when scientists traveled the world and included an artist in their expeditions. I use a variety of media, but especially acrylic, watercolor, and graphite. I also work as a freelance nature writer, often illustrating and writing together on a subject. For me, making art, whether it’s drawing, painting, or a craft, is a way of learning about the natural world. While I do love making art, I am also passionate about using art to teach the life sciences. Many people are intimidated by science, but nature drawing can be an easy and appealing hook for many life science subjects. It is from the act of looking closely in order to accurately capture this exact beetle or that exact leaf that an observer will really learn about a subject. This practice of thoughtful observation is the skill I am most concerned with passing on to my students; it is not only the foundation of effective illustration, but also thinking like a scientist. The Single Adult: Nature Journaling, 5/4 ticket is sold out. You can try another ticket or another date. The Single Youth (12 years and under): Nature Journaling, 5/4 ticket is sold out. You can try another ticket or another date. Single Adult: Nature Journaling, 5/11 Single Adult class, All sales final. The Single Adult: Nature Journaling, 5/11 ticket is sold out. You can try another ticket or another date. The Single youth (12 years and under): Nature Journaling, 5/11 ticket is sold out. You can try another ticket or another date. 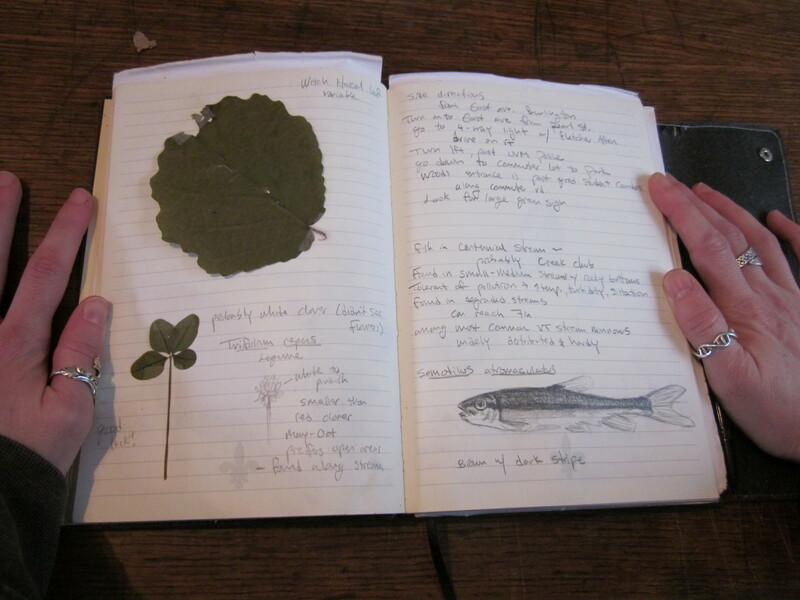 The Double Adult: Nature Journaling, 2-class workshop: 5/4 & 5/11 ticket is sold out. You can try another ticket or another date. The Double Youth (12 and under): Nature Journaling, 2-class workshop, 5/4 & 5/11 ticket is sold out. You can try another ticket or another date.